Held at the world famous Waldorf Astoria in New York City. Gaufest host Die Gemuetlichen Enzianer celebrated its 50th anniversary. Two well-attended dance workshops were held. 19 Vereine participated in Preisplatteln. Gaufest First: Judges were selected from a panel of judges. 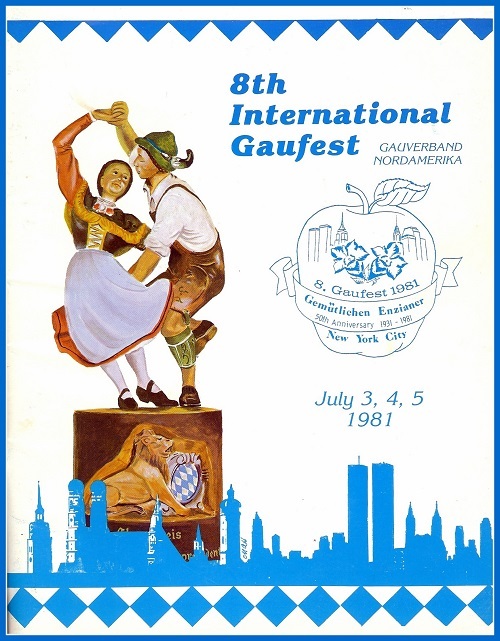 Previously, judges came from the Gaufest Host Verein. The 1. Vorstand of the Vereinigte Bayerischen Trachtenverband, Hans Zapf, attended the Gaufest. He presented a Fahnenband to Die Gemuetlichen Enzianer on behalf of the Bavarian Ministerpräsident.